Wild birds of the West Kootenays as well as companion birds. 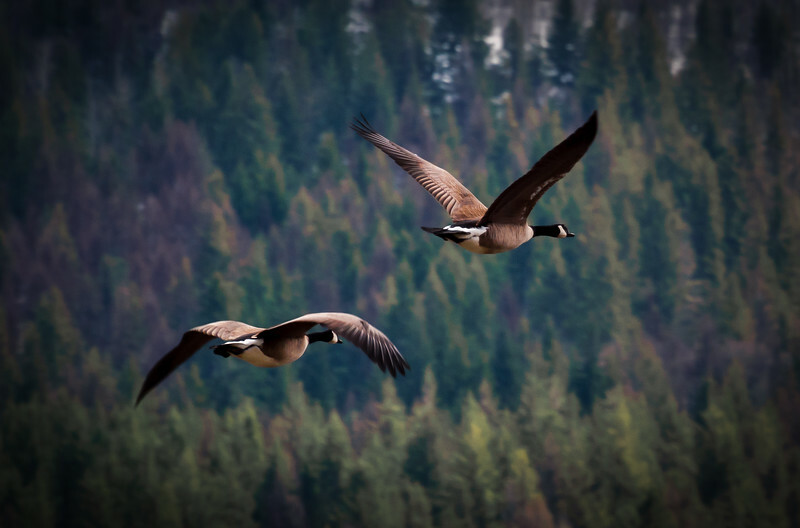 An aerial duet by a pair Canada geese. Truly poetry in motion.